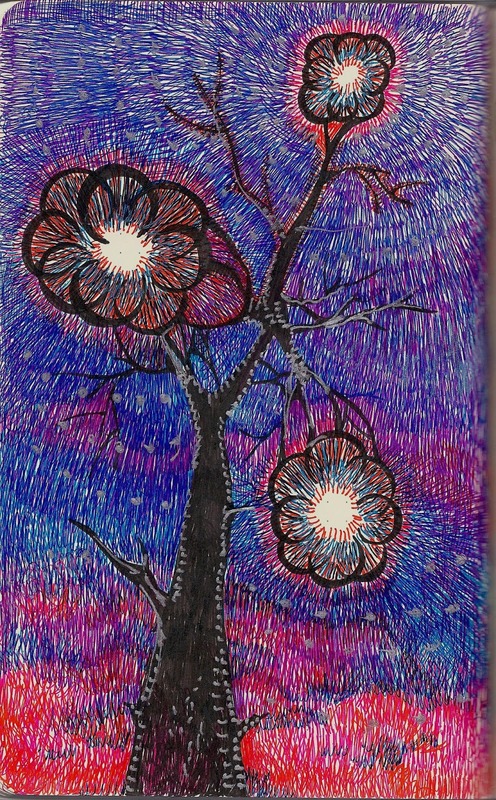 I’ve been drawing a lot of tree pictures lately with globes of light glowing through the branches. I’ve had several people ask how I get the effect, so I came up with this pattern. I’ve added a lot of commentary, which isn’t usual for a traditional tangle pattern. But this pattern is only one way to achieve the effect, so I felt it might be helpful if you knew a little more about the reason it works the way it does. The penciled circle at the beginning is a place holder, meant to help you determine where to start and end your loops so you’ll be sure to have the blank area in the center. You don’t have to draw one and after a while, you won’t need to. The silver gel pen I used in the example below doesn’t show up very well, and just served to muddy colors in the scan. But it looks cool in the actual picture! 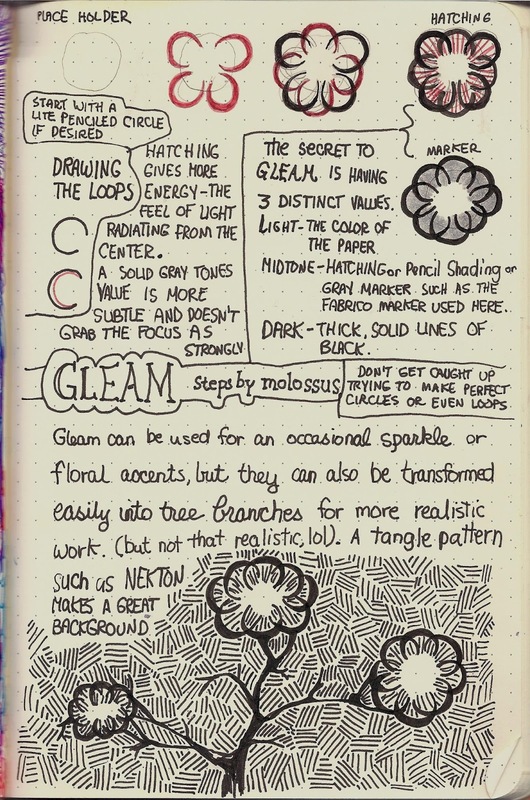 Both tangle and example are the latest entries in Round 10 of the Rhodia Journal Swap. You can see what others are doing in their swap journals at the Rhodia Journal Swap blog on Tumblr.